Former Manchester United midfielder Roy Keane has loosened his stance on Paul Pogba after the midfielder played a crucial role for his national team in the final of the FIFA World Cup 2018. Pogba scored a fabulous goal in the second half to help his side beat Croatia 4-2 in the World Cup final in Russia on Sunday. The Frenchman, who has faced a lot of criticism since quite some time from various quarters, has changed many perceptions with his performances in the World Cup, including that of Roy Keane’s, who analysed the final as a TV pundit. France sealed their second World Cup title in 20 years and came out unscathed in Russia. Sunday was no different, as they ripped apart a Croatian side that had played so well in the knockout stages. Much to the delight of the fans, Pogba wrapped his left foot around the ball on the edge of the box to guide it into the back of the net. This, in turn, had Keane excited. In the past, the Irishman was critical about Pogba for leading a celebrity lifestyle and focusing mainly on haircuts and social media posts. 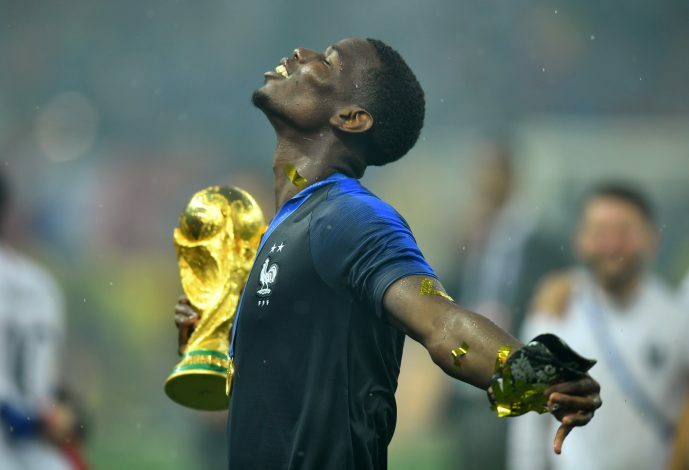 But now, his views have changed, as Keane stated that he didn’t mind Pogba dancing post the World Cup victory, as he deserved every bit of it. Not only has Pogba managed to win the coveted trophy for his side, but Roy Keane’s heart as well.